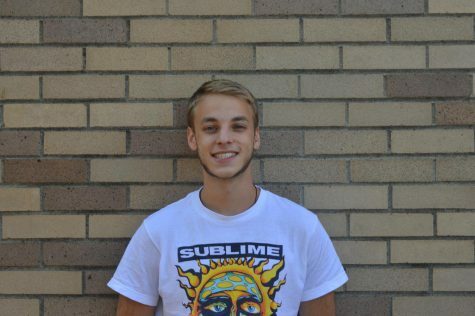 Senior Matt Roarty is a key swimmer for this year's team and a big reason the boys are off to a strong start. The highly anticipated Hillsborough boys swim season has gotten off to an impressive start. The overall record this season is 3-1, with the Raiders often winning by substantial margins. They are currently ranked No. 6 in the district, slowly climbing up the ranks. They kicked off the season by facing off against Watchung Hills. Hillsborough beat Watchung Hills in the overall by a score of 118 to 52. Junior James McChesney took first in both the 200 freestyle and 100 butterfly. 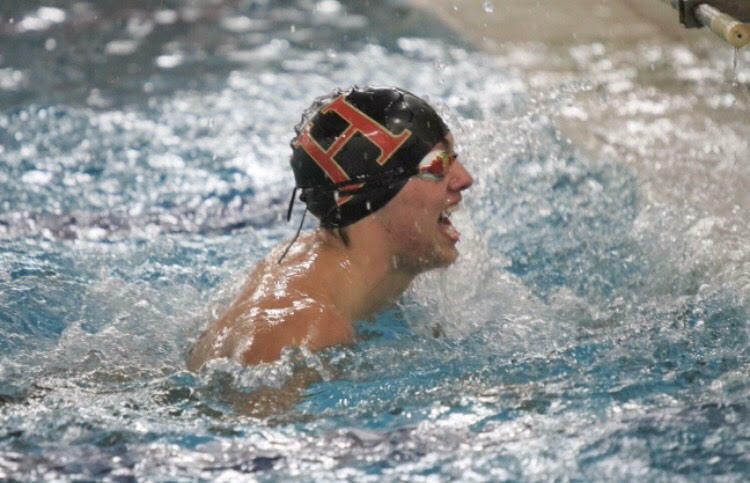 Some other Hillsborough athletes that exemplified perfection were seniors Matt Ciattarelli taking first in the 100 breaststroke and Thomas Zdroik winning the 100 freestyle. One of the most intricate elements of competitive swimming is the relays. Ciattarelli, McChesney, Zdroik, and freshman Brian Bull all took part in the 200 medley relay. It is no surprise they came in first place once again; it is safe to say that these athletes are critical members to the team and we will be hearing their names frequently. The team’s second meet was against Somerville. Being in such close proximity, Somerville has been a rival of HHS for years. Once again, Hillsborough preformed with speed and grace, outperforming their opponent. Hillsborough ended with 116 points, while Somerville ended with 54. The team is lead by head coach Todd Sudol. Sudol has been coaching the team for many years now and has assisted them in obtaining many victories. Between our amazing coaches and impressive athletes, HHS swim is unstoppable. "Real friends stab you in the front."